It’s very encouraging to be recognised and rewarded by the Ministry of Women, Children and Poverty Alleviation. These were the words of Phyllis Hazelman, the first and third prize winner of the Contemporary Home and Leisure Patchwork Category, at the 2015 Northern Craft Exhibition in Savusavu recently. 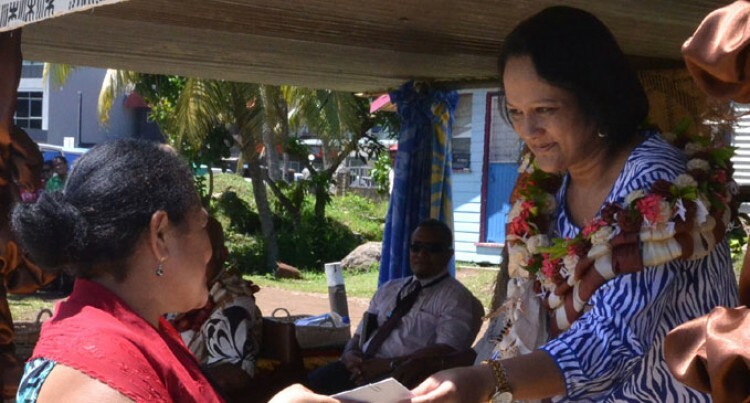 Ms Hazelman will be taking part at the second National Women’s Expo in October in Suva organised by the Ministry of Women, Children and Poverty Alleviation. “I am part of the Savusavu Gospel Ladies Group and we meet every Friday for a sewing session at the church,” the 59-year-old said. “We use loose material pieces to make doormats, pot holders, quilts, etc, and we sell them to people or we make things for our family members. She said the exhibition was an eye-opener.